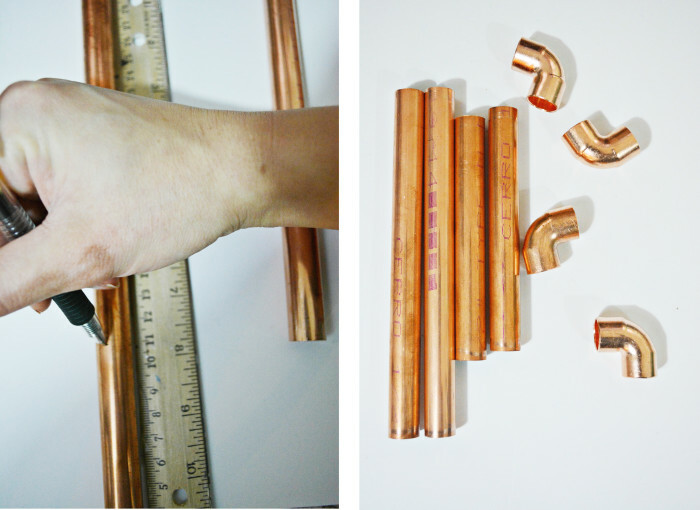 I’m back with my next copper pipe tutorial! 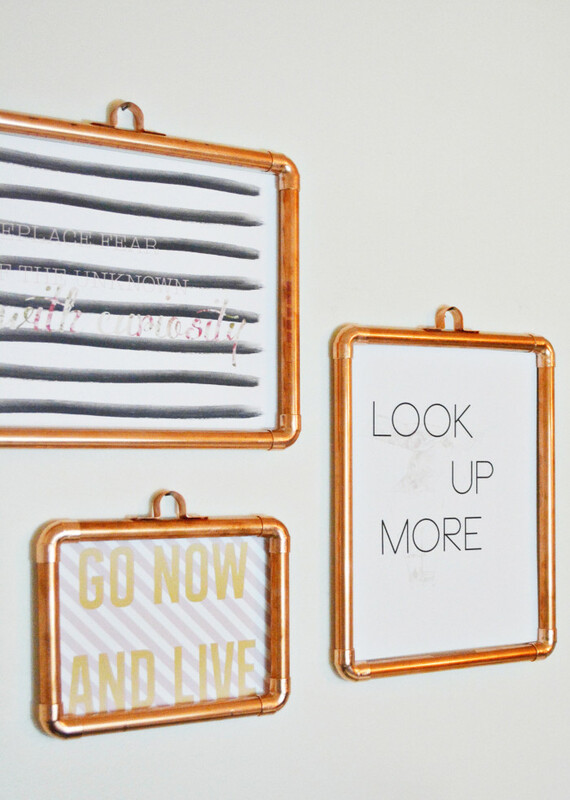 I am always on the look-out for new frames, despite the fact that I have several unused ones sitting around and I’m not talented enough to create my own wood frames but copper ones, I can do that! 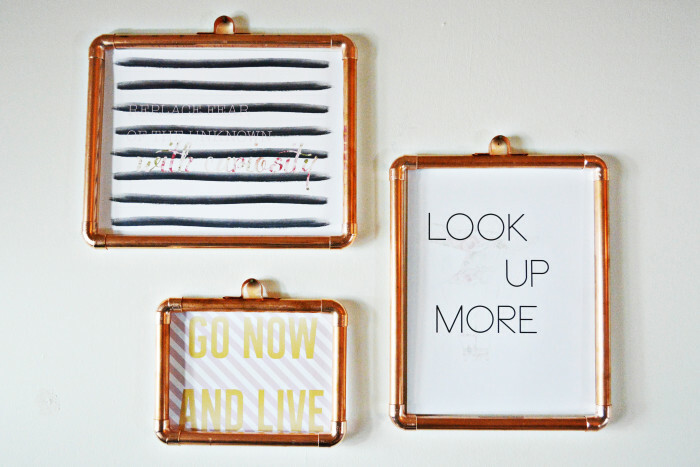 And I am really loving how these look in my craft room with Machelle’s inspirational prints. 1. Decide how large you want your frame to be (5×7, 8×10, etc.) and measure your pipe for that length. Below I did an 8×10 frame and cut two 8 inch pieces and two ten inches pieces using the pipe cutter. 2. 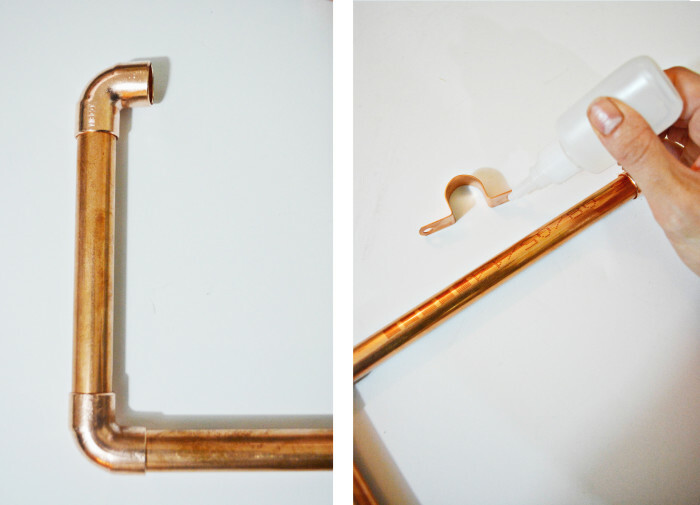 Take each copper pipe and place an elbow piece on the end and fit the pipes together. 3. Place a small amount of gorilla glue on the sides of the clip as shown. 4. Place the clip in the middle top of the frame and hold down for about 60 seconds to secure. Wait about a half hour for it to dry. 5. 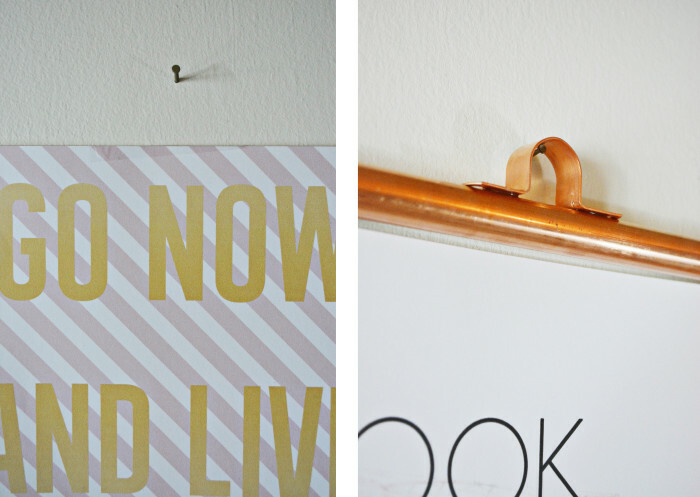 Hang up your prints/photos/etc on the wall using tape. 6. Hammer in a nail about an inch above each print. Place the frame on top of the nail. You’re done! I am sure you could add glass easily to the frame but I actually like the look of the open frames with no glass. 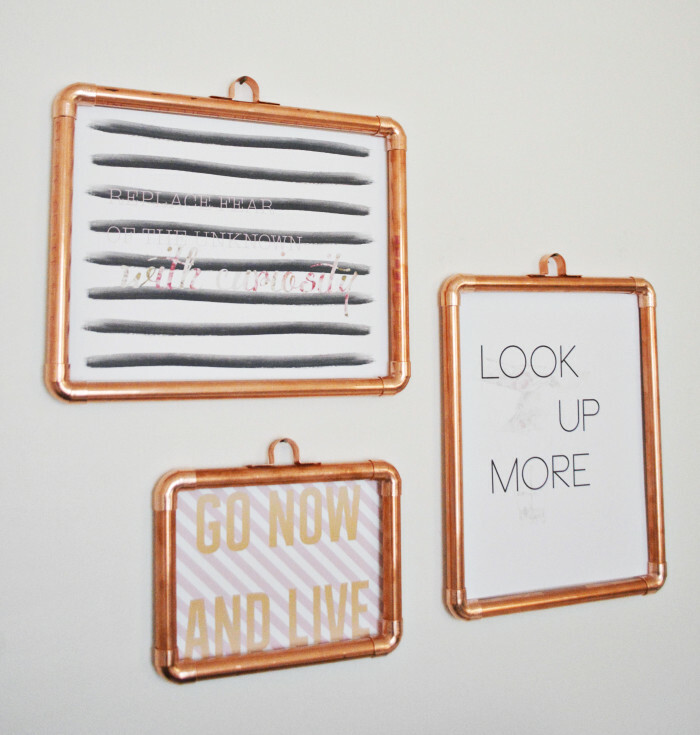 These would be great as part of a larger gallery wall or to frame a mirror (I think I will try that next!). 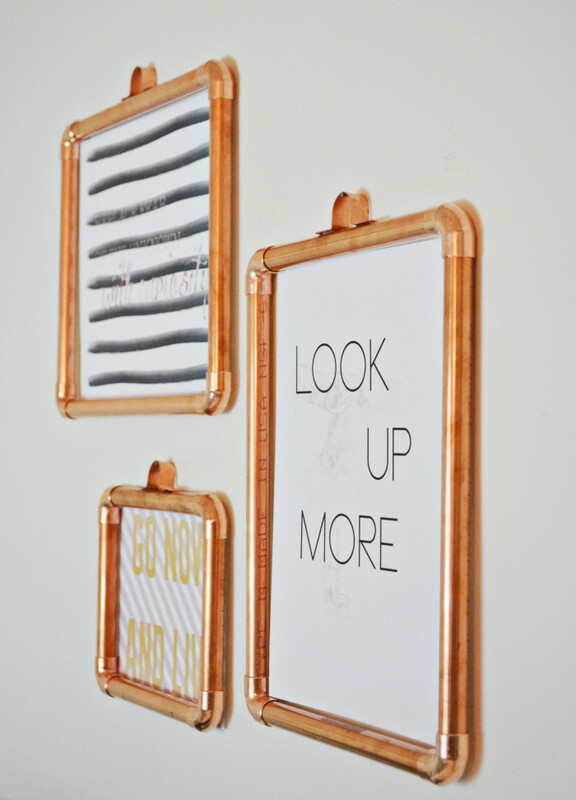 Plus, you can make a frame any size you want super easily!